A new anti-terrorism bill was approved by the Egyptian cabinet on Wednesday. The law defines ‘terrorist entities’ and lays down penalties against any group identified as such by a criminal court. According to Article 1 of the bill, a terrorist entity is any group which disrupts public order or threatens the safety, security or interests of society, or harms or frightens individuals or threatens their lives, freedoms, rights or security or harms national unity, Al-Ahram newspaper reported. According to the bill, a terrorist entity is also any group which harms the environment and natural resources or communications or transportation or public and private buildings, money or property or occupies them or takes control of them, or hinders the work of public and judicial authorities or places of worship or hospitals or educational institutions or diplomatic and consular missions or regional and international organisations in Egypt, or disrupts the constitution and the law with force or threats or intimidation to realise the group’s goals. The bill gives executive authorities the right to dissolve any groups listed as terrorist entities and freeze their assets and money and arrest their members. Under the bill, a group can appeal its designation as a terrorist entity, and if a period of three years passes without a final verdict on the group’s status, the prosecution must resubmit a plea for the continuation of its listing on the terrorist entities list. An amendment to the penal code in April increased penalties for terrorist acts. Egypt has recently joined an international coalition led by the US against terrorism after the radical Islamist group IS took control of large areas of Iraq and Syria. The country is battling insurgents in Sinai and its police and army have come under numerous attacks leading to the deaths of hundreds of officers and conscripts since the ouster of Islamist president Mohamed Morsi in 2013 and the subsequent bloody dispersals of pro-Morsi sit-ins. Civilians have been also caught up in the violence. 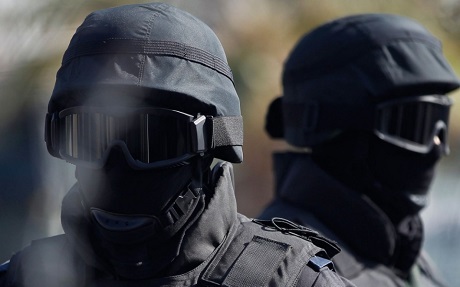 Hundreds of suspected terrorists have been killed in Sinai and hundreds of others are facing trial on charges of joining terrorist organisations. Egypt’s former rulers, the Muslim Brotherhood – from which Morsi hails – were labeled a terrorist organisation by a court in February.